David Herro’s mutual fund lost 9.7 percent on June 24, 2016 — a huge one-day drop for a diversified portfolio. British voters had just approved Brexit and investors deemed it a disaster for European banks, a big part of Herro’s Oakmark International Fund. Herro disagreed. “I don’t think the intrinsic value of these stocks has fallen anywhere near as much as Mr. Market has reduced their prices,” he told Bloomberg Television that day. The banks snapped back and so did his fund, earning him Morningstar Inc.’s award as international equity manager of the year. The 56-year-old is defying the idea that stock-pickers can’t beat the indexes over the long haul. Herro, whose fund turns 25 on Sept. 30, was named by Morningstar in 2010 as one of three managers of the decade, along with Bill Gross and Bruce Berkowitz. While the others have since cooled off, Herro is poised for a shot at a repeat in 2020, beating more than 90 percent of rivals this year and over the past five years. Herro succeeds through fortitude and a touch of stubbornness, buying out-of-favor stocks — Japanese securities in 2011, commodities producers in 2015, the banks last year — and hanging on until markets come around to his view. Looking different doesn’t always work out. One of Herro’s longtime holdings, Swiss bank Credit Suisse Group AG, is down 16 percent over the past five years. He admits he underestimated the company’s problems at first, yet remains optimistic about its prospects. Herro’s bouts of weak performance can be rough on investors. 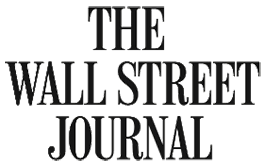 John Gugle, a financial adviser in Charlotte, North Carolina, purchased the fund for clients in 2012. After losses in 2014, 2015 and the first half of 2016, he was thin on patience. “We were close to pulling the plug and running away,” Gugle said. A conversation with Oakmark restored his faith in Herro’s strategy and he stayed for the ride back up. Not everyone does. The fund lost $2.9 billion to outflows in 2016, according to Bloomberg estimates. 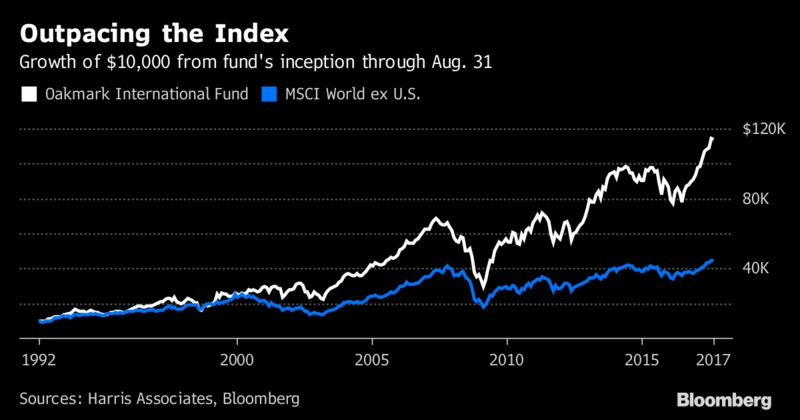 This year though August, it attracted net deposits of $7 billion, the most of any active U.S. stock fund, according to Morningstar. For Herro’s fellow top managers of the aughts, this decade has been rockier. Berkowitz, the winner in the domestic stock category, has seen assets plunge and returns slump at his Fairholme Fund. Gross, the bond champ, has posted so-so results at Janus Henderson Group Plc since leaving Pacific Investment Management Co. in 2014. By contrast, Herro’s fund was up 26 percent this year through Sept. 27, beating 97 percent of its Bloomberg peer group, and over the past five years it’s ahead of 93 percent. Over the life of the fund, Herro gained 10 percent a year compared with 6 percent for his benchmark index, the best performance among all the funds in his category, according to Morningstar. Herro wasn’t an obvious candidate for international investing stardom. The Milwaukee native hadn’t been on an airplane until his college days at the University of Wisconsin-Platteville and had never left North America until he managed an international portfolio for an insurance company early in his career. A self-professed libertarian, Herro volunteered for Ronald Reagan’s presidential campaign while in college and used to keep a cut-out of the politician in his office. He’s also a fan and season-ticket holder of the Green Bay Packers football team. When Herro started Oakmark International in 1992, it had $2 million in assets. Two weeks ago, it topped $40 billion. Herro is known for taking large, unpopular positions in stocks such as Glencore Plc, the Swiss-based natural resources producer. Harris more than quintupled its stake in Glencore in the third quarter of 2015 as the stock sank 64 percent amid a slide in commodities. “The beauty of that was that we were able to buy more,” Herro said. He looked at Glencore’s problems and saw the positives: strong management with a substantial stake in the business, a trading operation largely insulated from the commodities selloff and copper prices likely to rebound given persistent demand for the metal. Glencore has since risen almost fourfold in London trading and was still the biggest holding in Oakmark International as of last quarter. “When David believes he is right, it’s almost as if he derives energy from people who disagree,” said William Nygren, who co-manages the $2.8 billion Oakmark Global Select Fund with Herro. Herro has argued for years that markets were too gloomy on many European banks. Harris almost doubled its stake in Italy’s Intesa Sanpaolo SpA in the second quarter of 2016 as the stock cratered, and the shares are up 75 percent since. Despite his value bent, Herro doesn’t consider himself a contrarian so much as a questioner.